Product prices and availability are accurate as of 2019-04-11 10:22:42 EDT and are subject to change. Any price and availability information displayed on http://www.amazon.com/ at the time of purchase will apply to the purchase of this product. The Royal Navy's stunning attack on Taranto in 1940 heralded a new age of warfare. It was the decisive moment in a struggle for dominance of the Mediterranean that had gone on for months, as the British and Italian navies both looked to secure maritime supply routes for their colonies. 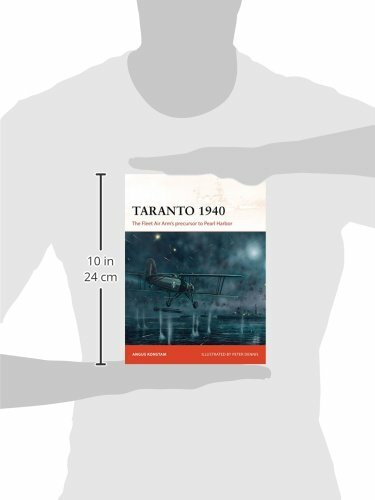 With the enormous demands of a global war beginning to tell, the British capital ships were simply too thinly spread for a large fleet action against Taranto, where the bulk of the Italian fleet lay menacingly. How was the Royal Navy to eliminate the threat of the Regia Marina? 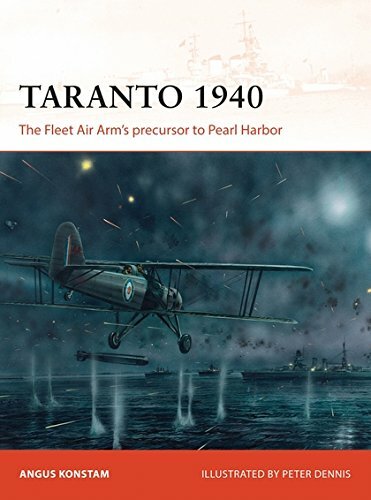 This is the story of one of World War II's most devastating raids, recounting how a handful of obsolete Fairy Swordfish biplanes swooped in on the harbour, destroyed an Italian battleship and badly damaged two more. With expert analysis, detailed colour illustrations and a gripping narrative, this book explains the origins of the attack, how it was planned and executed, and what happened in the aftermath. Uncover the details of a strike that reverberated around the world and changed war at sea forever.